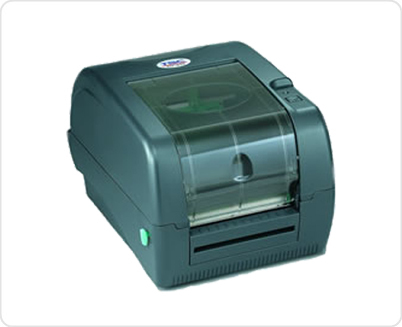 รายละเอียด The TTP-245 Plus features a user friendly clamshell design with a large center biased media capacity.Simply open the cover and drop your labels into the printer. Top of form sensing by gap, black mark, or notch is standard and completely adjustable from side to side. Labels stored inside the printer can be up to a 5” OD on a 1” core. Using an optional external media hanger, a full 8.4” OD roll of labels on a 3” core can be used.